For its 11th edition the nomadic performance series No Patent Pending returns to STEIM to present a selection of new works by Erfan Abdi, Wen Chin Fu, Lars & Nikolaj Kynde, Jonathan Reus, Matteo Marangoni and Dieter Vandoren. Lars & Nikolaj Kynde will present Tasteful Turntable, a composition for tasting and hearing for an audience of 4. The performance has a duration of 30 minutes. Tasteful Turntable requires reservation. Please reserve a seat here. We perceive our surroundings through vibration in one form or another. It can be in form of physical contact or heat (molecular vibration), audible or infrasonic mechanical vibrations, or light (which can be measured as vibrations in the EM field). Such view was not shared so much before late 19th century, and ever since, has had a considerable impact on the way people perceive themselves and their surrounding world. Vibroplasm is a work in progress that deals with vibration as its core focus, while each of its realizations revolves around a different way of tacking the subject. 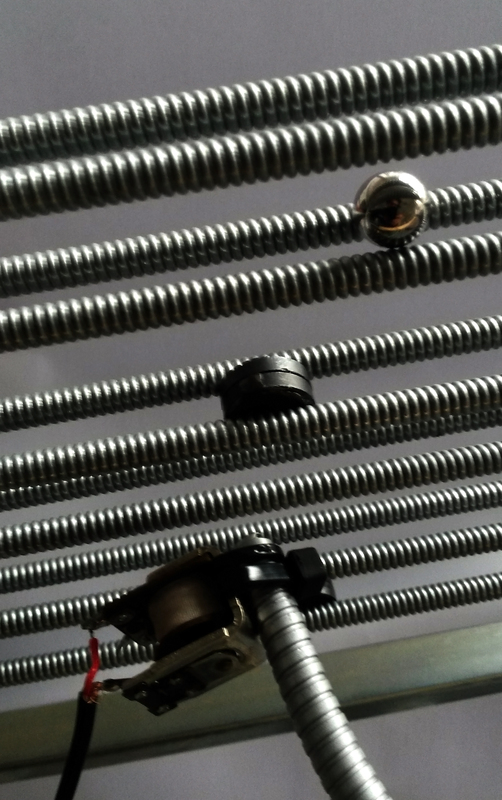 In Vibroplasm 2.5, a construction consisting of springs, magnets, pickup coils and a transducer becomes a field for vibration to pass through, creating positive feedback with ever changing overtones. In an effort to steer the uncontrollable feedback, the artist invites the audience to observe the vibratory phenomenon through magnification and translation. Spine Spinning is a performance investigating the movement of the spine in the human body inspired by Étienne-Jules Marey’s Etude de la locomotion humaine: Homme marchant avec une baguette fixée le long de la colonne vertébrale. Focusing on the perception of the body through the control of light and sound amplification, the performer transforms the human body into an unknown creature. 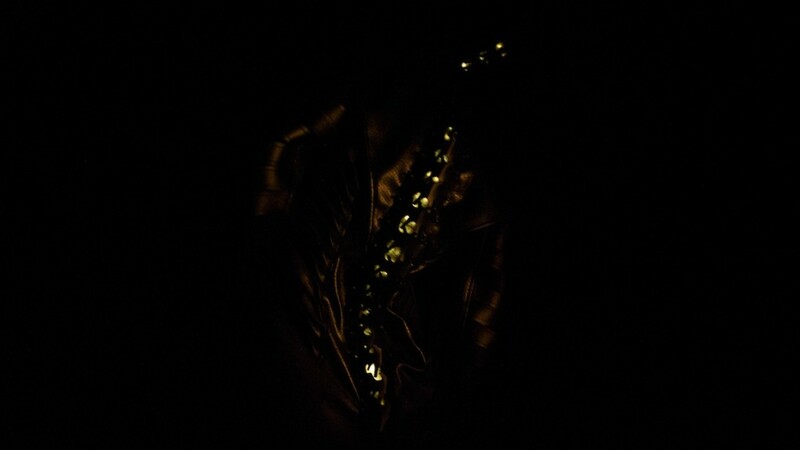 Lampyridae is a participatory experience in which humans facilitate the establishment of a society of artificial entities called Lampyridae, which is the latin denomination for the family of the fireflies. The Lampyridae are devices that operate as a distributed local network using communication protocols that are situated entirely within the range of human perception. Each participant is given a small portable, handheld device that is capable of both emitting and sensing light and sound signals. Participants act as carriers of these autonomous objects, facilitating the emergence of swarm-like behaviors as the devices communicate between each other in space, immersing the audience in a field of pulsating light beams and spatial sound projections. 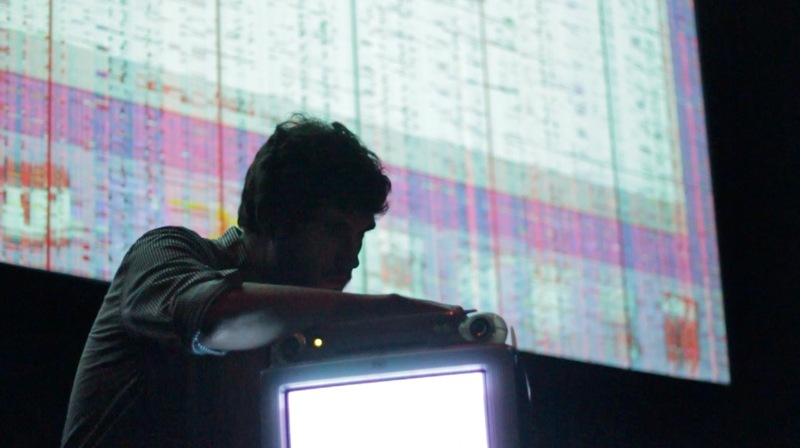 iMac Music is a live cinema / live music performance where obsolete first generation iMac G3 computers are invasively hacked on stage – drawing sound and visual material directly from the circuitry of the machines as they operate. The machines are essentially e-waste, too clunky and dependent on legacy software for today’s tasks, but for reasons of cultural nostalgia still remain on storage shelves in basements and back rooms. In the hands of instrumentalists the computers are re-animated; resonating with nostalgia but also conscious of contemporary concerns such as the practice of planned obsolescence and its ecological impact as a producer of e-waste. 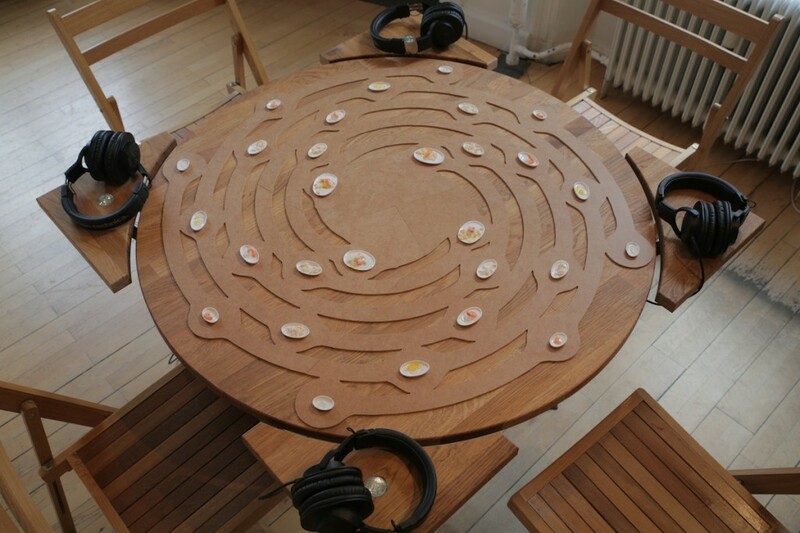 Tasteful Turntable is a sensuous performance that explores this sense-interference between music and gastronomy. The performance takes place around a slowly rotating dining table designed to let the guests experience parallel stimuli through these two senses. 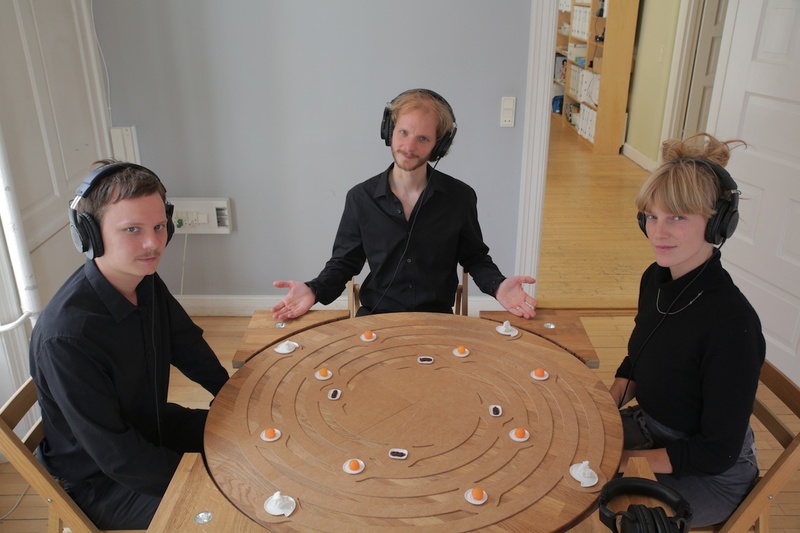 Different small dishes containing only one bite each are carefully positioned on the table, and four guests wearing headphones are seated around it. As the table slowly turns, the guests taste the flavors and listen to a synchronized music composition coherent with the position of the foods and their tastes. 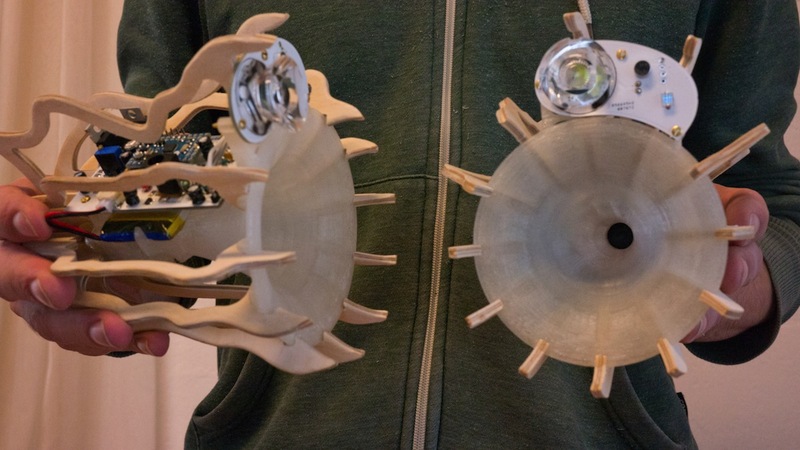 The development of the works presented at No Patent Pending #11 has been supported by the Creative Industries Fund NL within iii’s 2014 research and production program focusing on “non-data based technologies, embodied knowledge and returning to the senses”. Tasteful Turntable was produced with additional support from Stroom Den Haag. No Patent Pending is a nomadic performance series presenting radical artistic practices that involve developing, composing and performing with self-made instruments that engage with the four dimensions of sound, image, space and the body.